RPA or Robotic Process Automation is considered the future of automation. 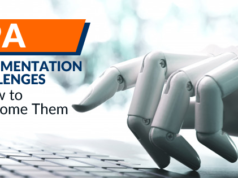 RPA platforms like Blue Prism leverages the software capability for Artificial Intelligence (AI) and Machine Learning for automation processes by synthesizing data by eliminating repeatable tasks which are high in volume. The cutting-edge RPA technologies like Blue Prism shows huge scope in the role of Blue Prism developer. So, if you are interested to know about the actual role of Blue Prism developer in the IT industry, you are at the right place. In this blog, we are going to discuss the role of Blue Prism developer along with the other aspects. Blue Prism is going to be the game-changing automatic robotic process software solution primarily for administrative work. The technology behind Blue Prism is RPA, i.e. Robotic Process Automation that will help to create an agile digital workforce for organizations and businesses. It is a complimentary IT solution to traditional business solutions like Business Process Modelling (BPM) and front office tools which are associated with productivity. It is a 100% robotic automation solution with no human intervention. Blue Prism implements business rules and logic, bulk processing, and consistent decisions making. However, there is a significant difference here. In the traditional enterprise solution, we do not get such scale up performance which can pace up with the business needs. Whereas Blue Prism Digital Workforce provides us with an enterprise-strength technology as expected to support the pace of business changes. 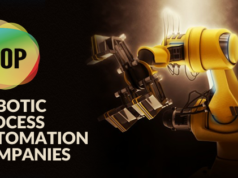 The primary role of Blue Prism Developer is to create robots on Blue Prism platform which is mainly developing a robotic process through coding. These processes are supposed to follow some set of rules to make the overall process faster without much human intervention. However, we cannot limit the task of a Blue Prism developer only to coding. The role of a Blue Prism developer may vary based on their years of experience, project-specific needs, and many other factors. 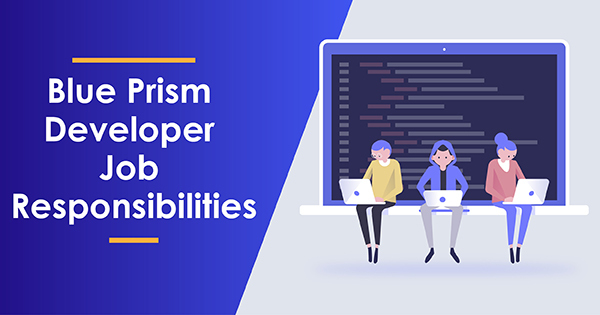 Here we have categorized the Blue Prism developer roles and responsibilities into below conditions which will give you a fair idea when you are going to apply for the role of Blue Prism developer. 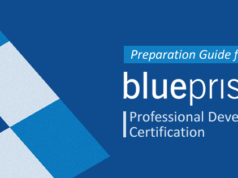 Preparing for Blue Prism Developer certification exam? Check your current level of preparation with Blue Prism Developer Practice Tests. The list is enormous and very much specific to the project requirements. What is Average Blue Prism Developer Salary? The salary varies based on the role of a Blue Prism developer. As per the market research, it varies from an average of $87,464, which ranges from $73,584 considering 25th percentile to $99,040 at the 75th percentile. On the other hand, the top Blue Prism developer salary could be more than $113,207. Not to mention, the salary depends on the Blue Prism developer experience and skill set. For example, in India, if a developer has less than one year of experience he can expect an annual salary of 3.5 LPA. Similarly, if the developer has 1–3 years of experience he may get 4.5 to 6 LPA. How does Blue Prism Developer Certification Help You? Blue Prism developer certification can help you grow as a professional and enhance your career. Let’s have a look at a few of them to understand the benefits of Blue Prism Developer certification. Consequently, they play the role of Blue Prism developer following the specific demands of the enterprise while ensuring the best possible solution. A certified Blue Prism developer is a trusted technical person for an organization who can provide the best-derived result due to their better exposure to the core concepts in Blue Prism automation approach. Easily secure job not only in IT but also in RPA industry in any domain. Blue Prism certificate is designed in a way so that one needs good practical experience as well as theoretical knowledge. Hence, practicing Blue prism developer certification dumps works like a wonder for candidates and expose them to actual exam like scenarios. Keeping this in mind, we at Whizlabs has designed Blue Prism Developer Practice Tests as part of our Blue Prism training which will help you to concentrate on technical logic and practice diagrams as much as possible. This no doubt will help you to make a better understanding of objects and session variables. Try out our practice tests and make your life easy towards your next Blue Prism developer certification exam.